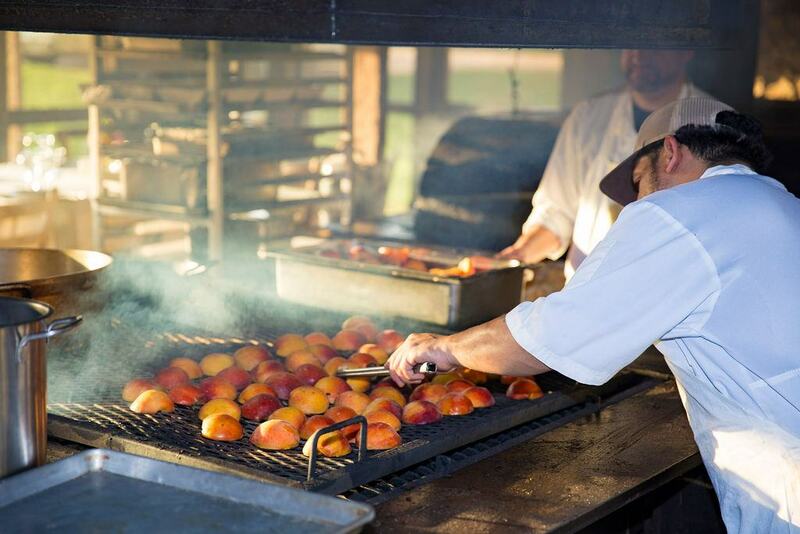 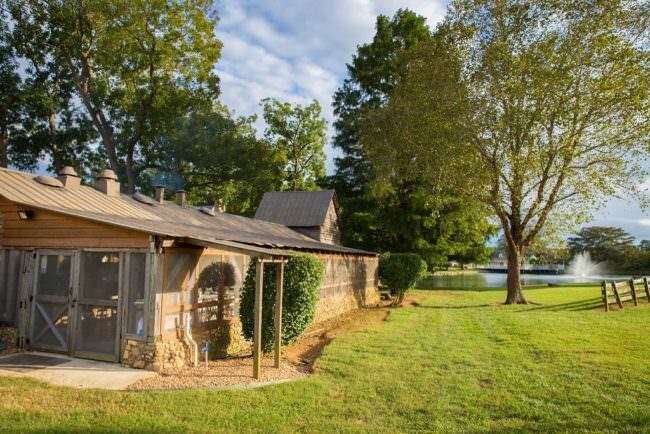 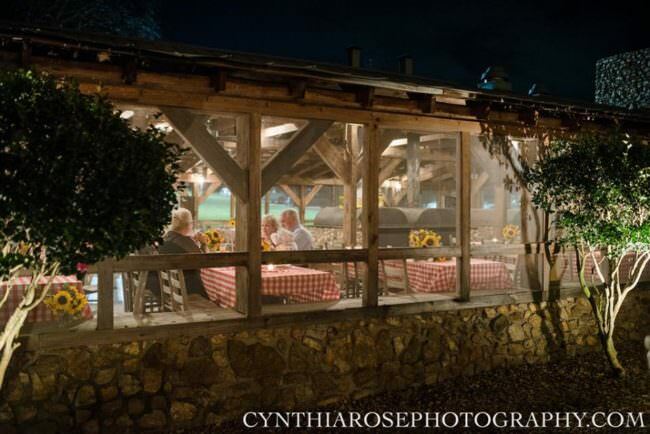 To experience a true Southern tradition, our charming and rustic BBQ Smokehouse is also available for get-togethers. 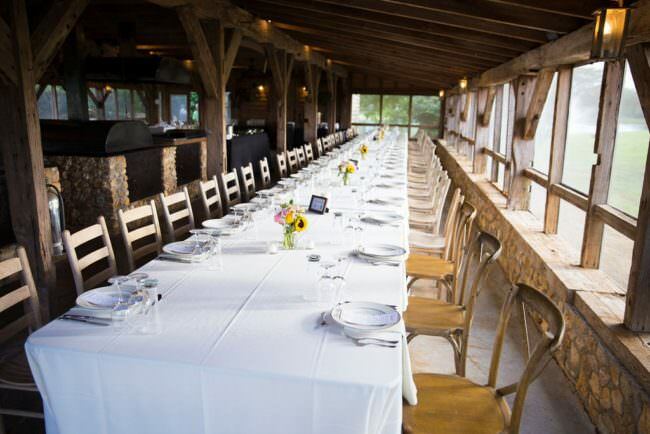 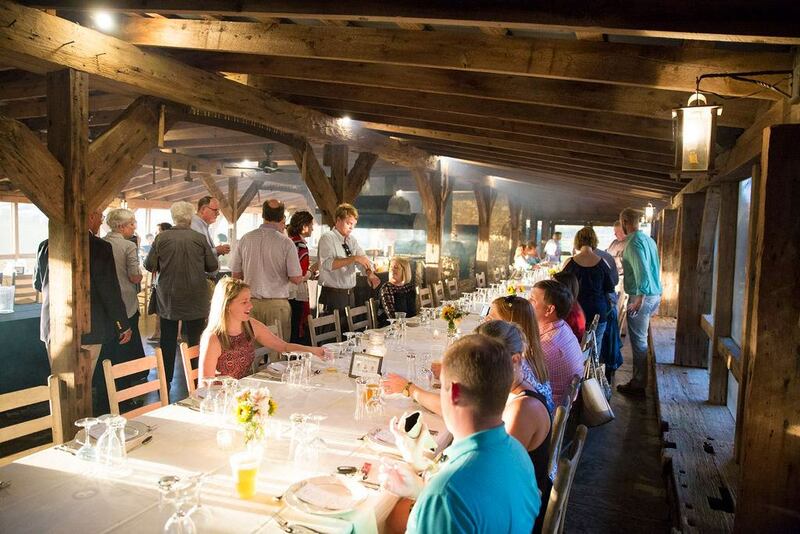 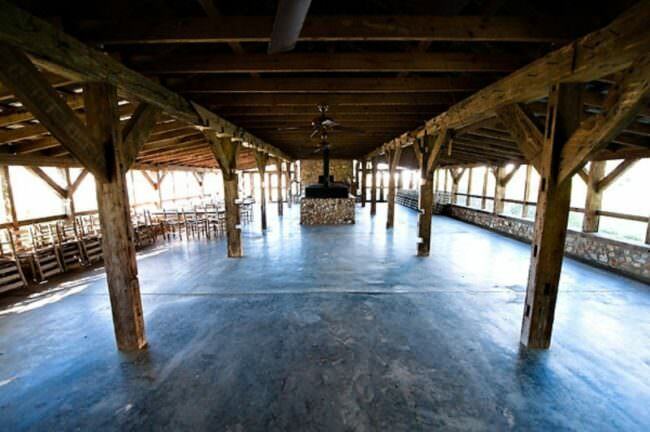 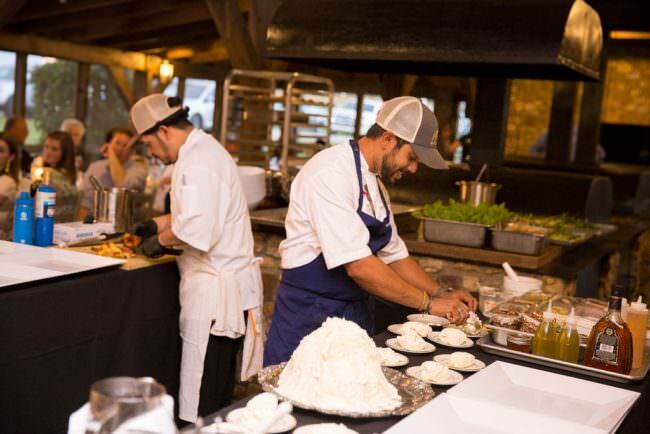 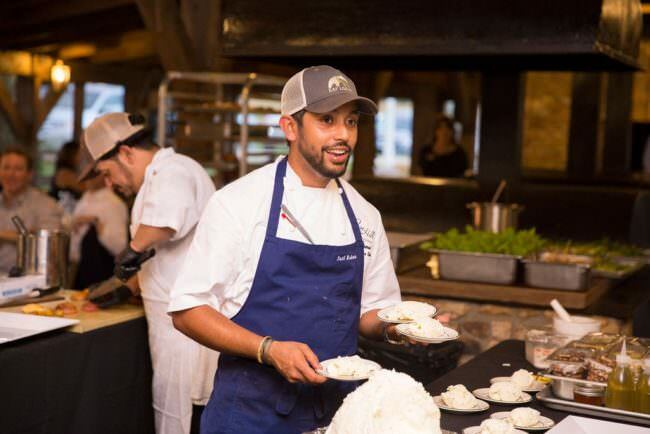 The Smokehouse accommodates up to 100 guests and can be decorated for a variety of events. 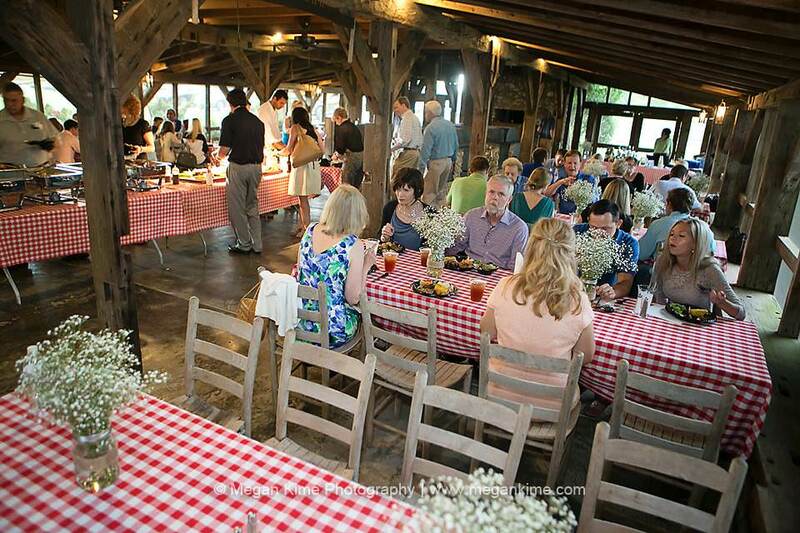 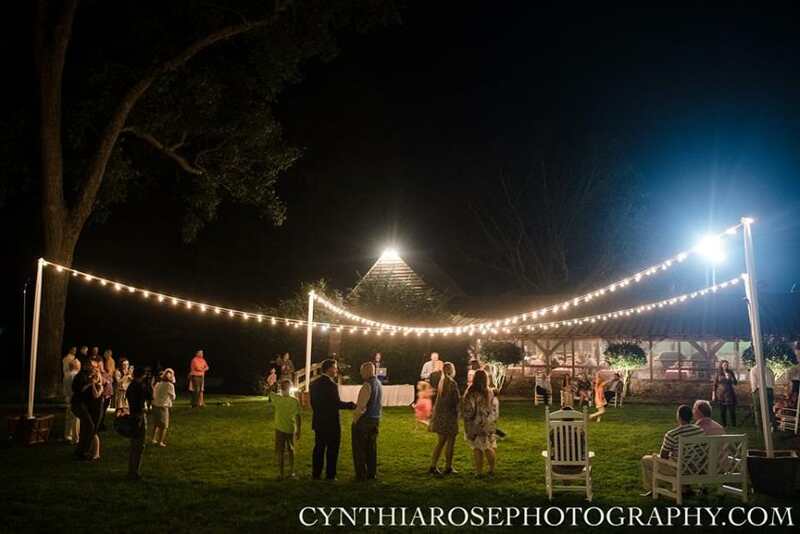 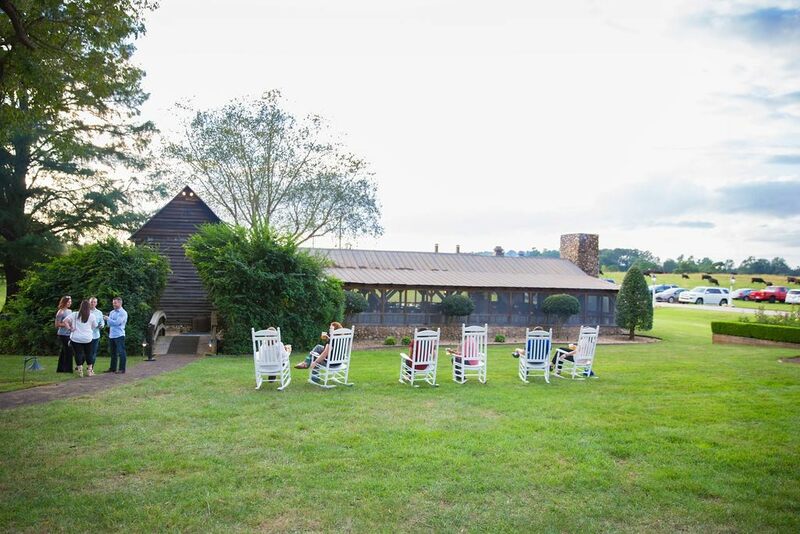 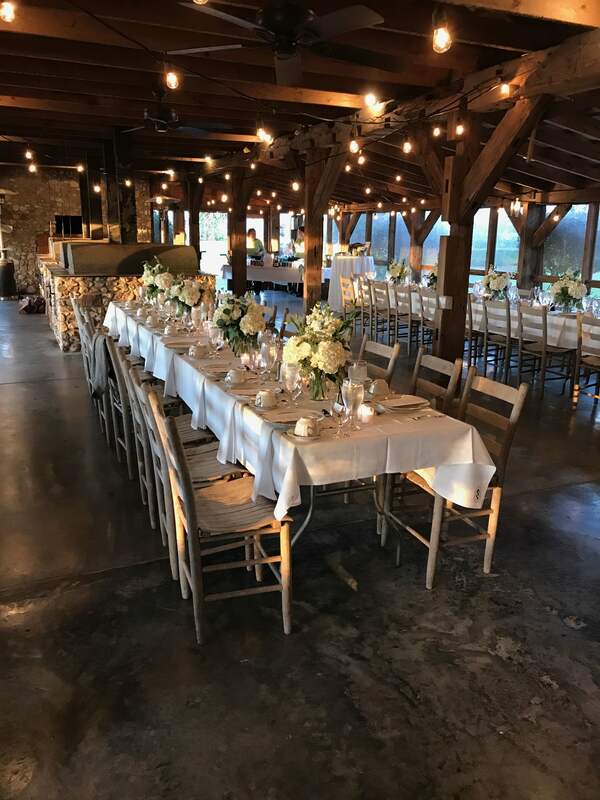 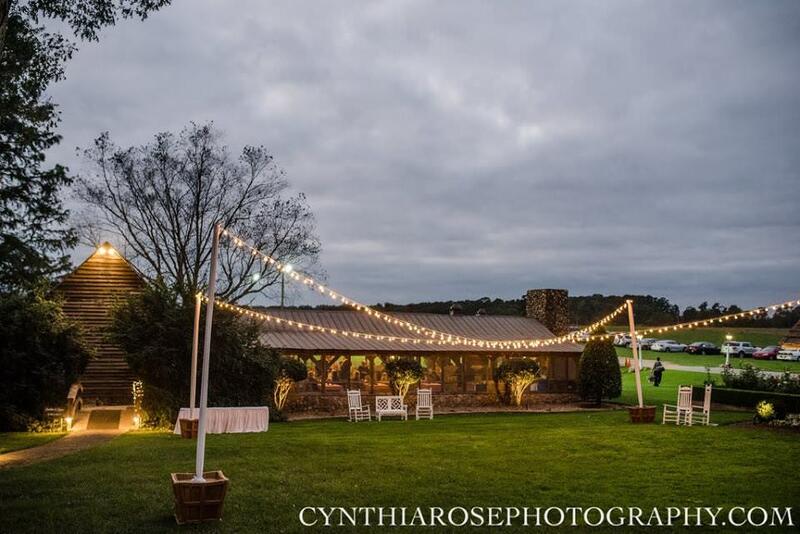 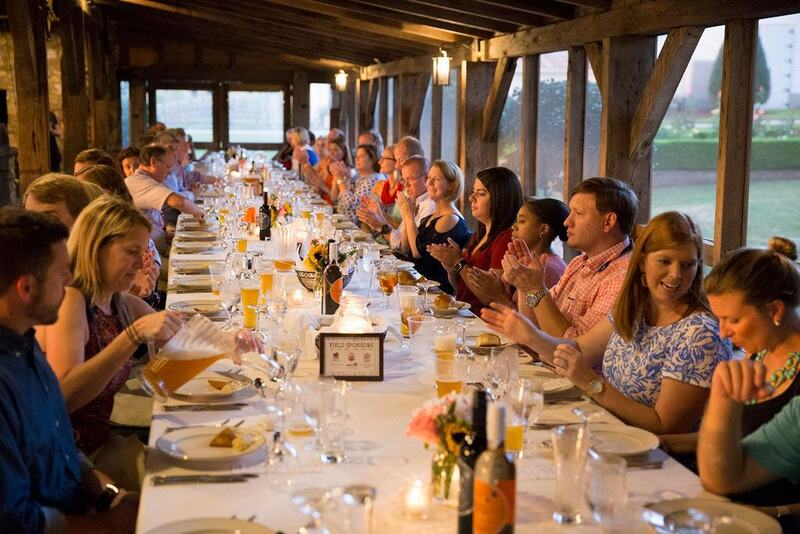 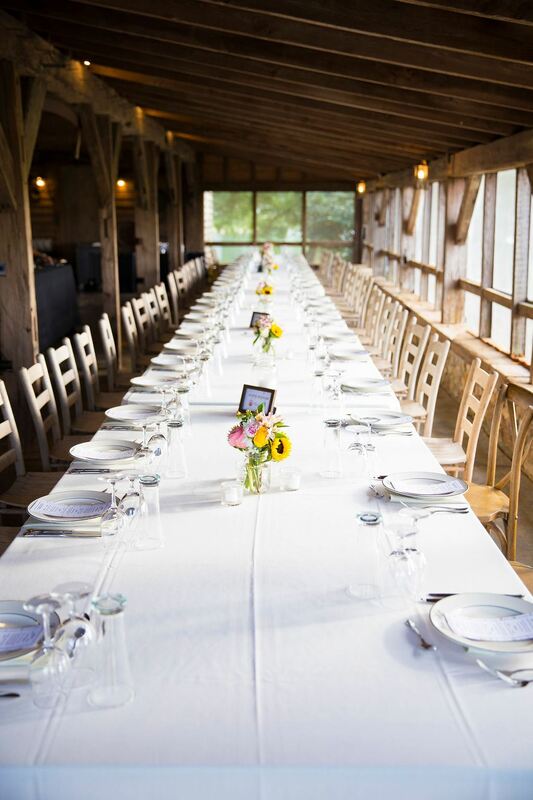 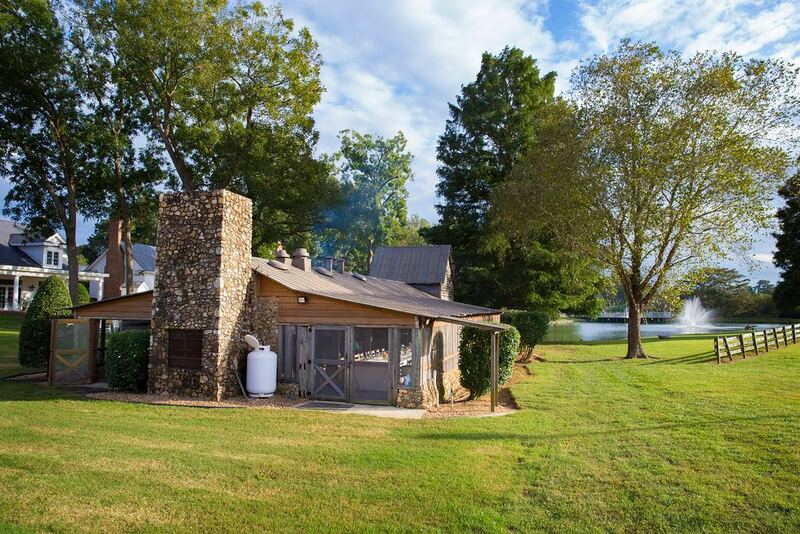 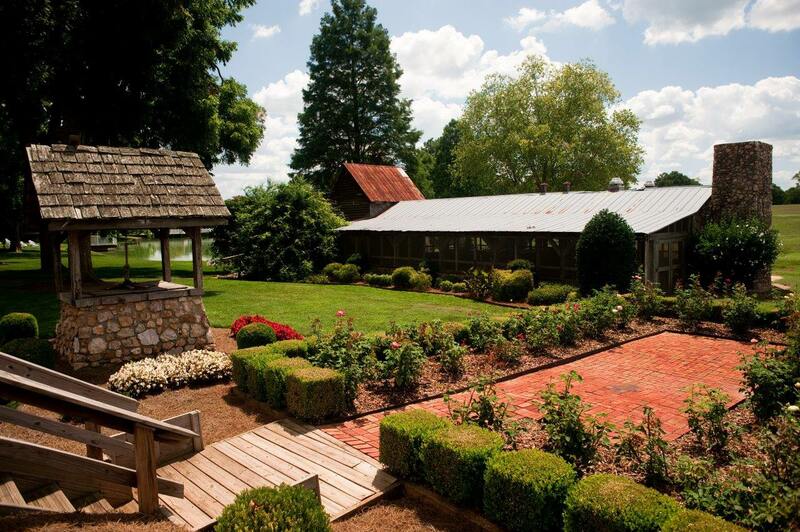 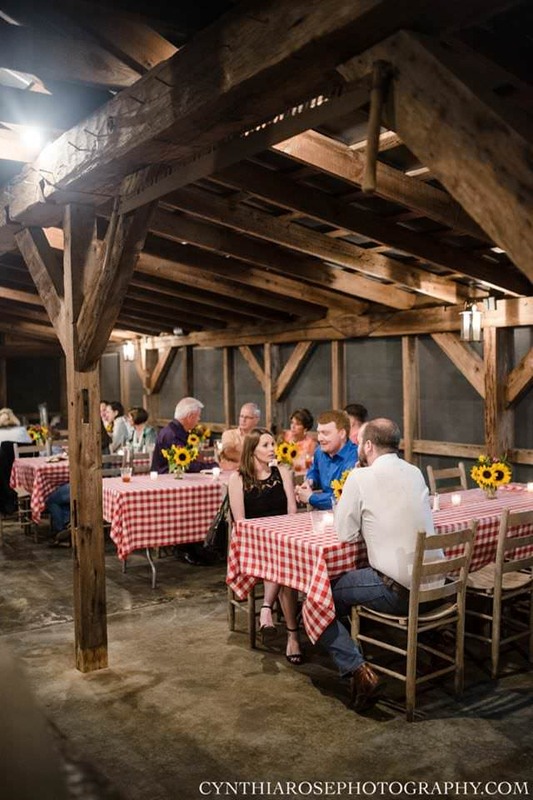 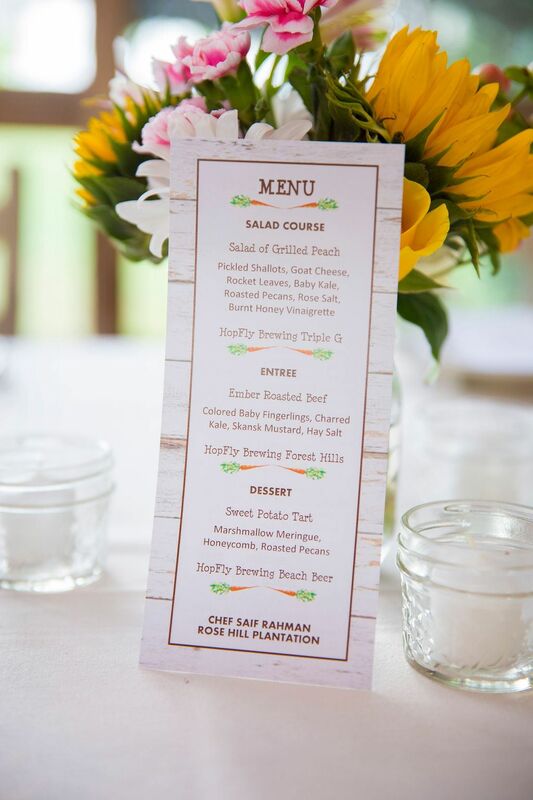 Our rustic wedding North Carolina BBQ Smokehouse is a perfect setting for a pig pickin’ or other events that fit the relaxed country setting. Built with antique materials, the screened-in Smokehouse is set amid a beautifully manicured lawn, a picturesque pond and nearby rose garden. Outfitted with its own cookers, the BBQ Smokehouse is ready to handle up to 100 guests for your event in a true ‘Down East’ setting.